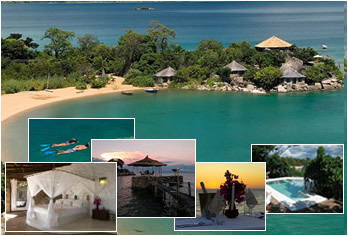 Kaya Mawa is situated on Lake Malawi's idyllic Likoma Island, lapped by crystal clear waters and fringed by secluded beaches. This exquisite luxury lodge in the heart of Africa was built by hand through a partnership with the local community, and is heralded as one of the world's Top 10 eco-travel destinations. Kaya Mawa is a dream holiday for honeymooners (voted "one of the planet's top 10 most romantic destinations"), families ("a Swiss Family Robinson scene") and adventurers (with scuba diving, quad biking, waterskiing and more activites on offer). Each cottage comprises four-poster beds, sunken stone tubs and direct access to the island's pristine beaches. Katundu designs capture the pattern and rhythm hidden deep in the African soul. 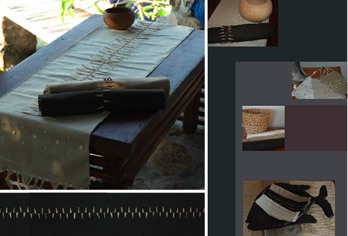 With a contemporary edge and ethical production, Katundu produce beaded linen textiles and beach clothing, with an emphasis on design, style and qaulity. Raw and natural beads are hand stitched onto linen for interior furnishings and clothing, by single mothers selected from the local orphan program. Katundu is situated in Malawi, central Africa, and distributes throughout Africa and internationally. 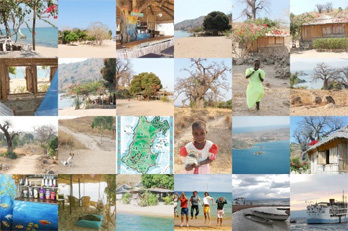 Mango Drift is the perfect holiday destination for backpackers travelling through Malawi, Africa. Accommodation includes thatched huts nestled on the beach of Likoma Island on beautiful Lake Malawi, a dorm for 4 and an expansive beach you could camp on. Mango Drift is situated on the west side of Likoma Island, facing Chizimulu Island, with stunning views and a bar under a huge mango tree...as well as a bathroom block at one end with hot showers! Take a dip in the swimming pool-like waters of Lake Malawi or visit one of the beautiful sights from an old cathedral to a forest reserve. Ulendo specializes in a broad cross-section of travel services. Offering personalized solutions and a powerful network of products in Zambia, Malawi and throughout Southern Africa, Ulendo is your perfect travel partner. 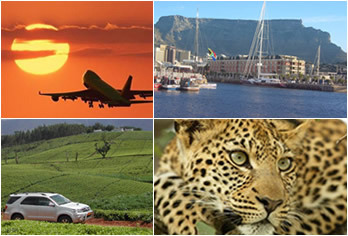 You can book a flight through Ulendo Flyer, or book a set of wheels through Ulendo Explorer to undertake your own exciting self-drive holiday. Ulendo Safaris offers a unique safari experience with spectacular scenery and incredible wildlife, whilst Ulendo Lodges offers the ultimate in secluded retreats for both corporate and leisure visitors to Malawi. Gillie and Jake's Luangwa Valley Retreat. 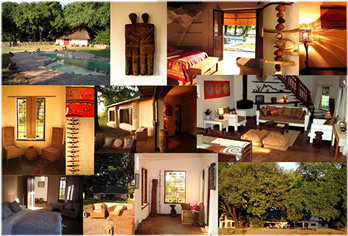 a fantastic family venue in Zambia's extraordinary Luangwa Valley. 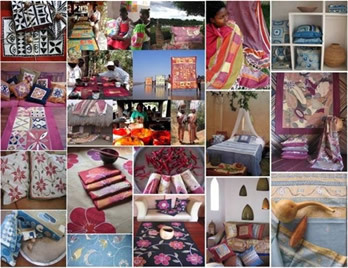 We are also the owners of Tribal Textiles, a company in Africa producing hand-painted textiles and interior products, based in the Luangwa Valley, Zambia. Our products are exported worldwide and are just as likely to turn up in a New York loft, a country house in Somerset or boutique hotel in Spain as they are in our Lamu Retreats. The project employs between 150-220 rural Zambians who are trained and employed as artists, painters, tailors and managers at our workshop which has Fair Trade accreditation. We're always looking for wholesale clients and distributors worldwide to market our products so if you are interested in unique, cutting edge fabric design and a product that helps keep hundreds of people healthy and educated in a small rural economy then please contact us at Tribal Textiles. If you have enjoyed visiting the Lamu Retreats then you obviously have an eye for great places to stay on holiday. We'd like to let you in on another secret! When we're not at the beach in Shela we live in Zambia, in the Luangwa Valley. 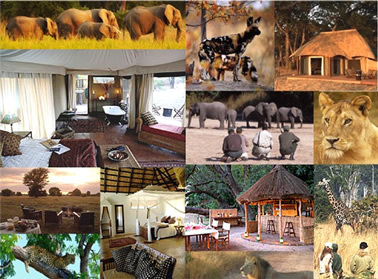 This mecca for serious safari buffs has wonderful lodges and bushcamps in and around the North and South Luangwa National Parks. Safaris are conducted on foot and in open vehicles and night drives are offered to allow you probably the best chance in Africa of seeing the nocturnal species and the big cats hunting. Combining a beach holiday in Kenya with a safari in East Africa and or Zambia may not seem like the most rational option but with Kenya Airways and KLM covering the whole subregion it's not as crazy as it seems. A group like yours could easily get ticket from anywhere in Europe that allows a stopover in Nairobi, hit the beach in Lamu for a week, transfer by regional charter to Arusha, visit the awesome spectacles of the Serengeti and Ngorongoro Crater with our recommended outfitters, or ride with a few hundred thousand wildebeest in the Grumeti Reserves, and then fly down to Zambia for an unbeatable wildlife experience in the Luangwa Valley. If you’re looking for a top notch operator to show you the wilds of the South Luangwa National Park then for flexibility, professionalism, and the real McCoy you can’t do better than our friends at Norman Carr Safaris. After all…..they started it! Based out of their all weather main camp Kapani Lodge they run seasonal walking and driving safaris from four small, remote and lovingly designed bush camps inside the park. It’s even possible to do a river safari in the rainy season, a time when the park is inaccessible to many other operators. With safari guides of the highest standard and camp staff trained to make your stay in the bush as comfortable as any star spangled hotel, your safari will never be forgotten, merely augmented by frequent return journeys once the Luangwa Valley has captivated you. Norman Carr started walking safaris in the Luangwa Valley over 50 years ago and the company he formed is proud to be running their safaris in a not too dissimilar manner today. So join them….put your feet up on a camp chair, have a lovely cup of tea and watch the bush unfold before your eyes. It’s magical! PO Box 100, Mfuwe, Zambia. Airkenya Express has graced the friendly skies of East Africa providing discerning travellers with a unique flying experience that comes from years of aviation experience in East Africa. Airkenya Express is the leader in providing services into the main Kenyan National parks, including the Masai Mara, Samburu, Meru, Nanyuki, Amboseli, and to the coastal towns of Malindi and Lamu and more recently Mombasa. 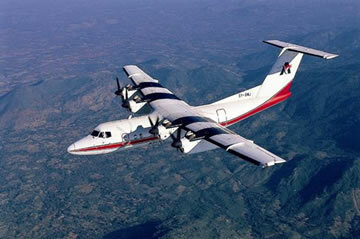 Airkenya Express has connections into Kilimanjaro in Tanzania linking to its sister Company, Regional Air Services.